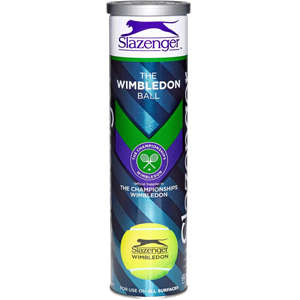 Slazenger balls have been used at Wimbledon since 1905 and have become the benchmark by which other balls are judged. A core that has been engineered to perform on all types of court surface from grass to cement. Covered with a premium grade ‘Hi VIS’ woven cloth for optimium visibility and treated with Hydroguard that repels 70% more water than a standard ball.